Back for a second year, the Fortnum & Mason Christmas Arcade transforms the West Wing of Somerset House into a Christmassy pop-up version of the flagship Piccadilly store. 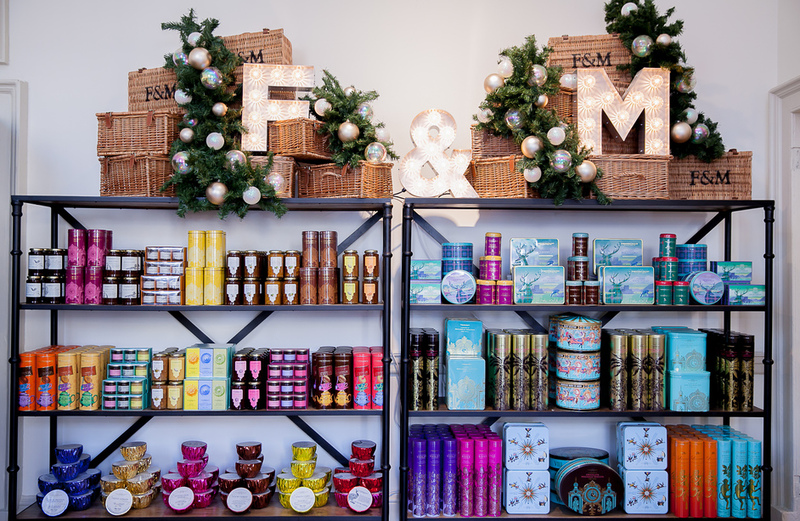 Showcasing the very best of Fortnum & Mason's world-renowned products, it will be the perfect place to stop by and pick up some festive treats, from foodie fare and fashion accessories to Christmas decorations and unique gifts. The pop-up will be split into different themed rooms, dedicated to men's and women's gifts, a Christmas room with a children's section, confectionary, and a fresh food range, including smoked salmon house cured on the roof of the Piccadilly department store. What are the best dining options near Fortnum's Christmas Arcade London? Fortnum's Christmas Arcade gyms, sporting activities, health & beauty and fitness. The best pubs near London Fortnum's Christmas Arcade. Fortnum's Christmas Arcade clubs, bars, cabaret nights, casinos and interesting nightlife. Where to have your meeting, conference, exhibition, private dining or training course near Fortnum's Christmas Arcade. From cheap budget accommodation to luxury 5 star suites see our deals for Somerset House hotels, including The Waldorf Hilton Hotel London from 76% off.